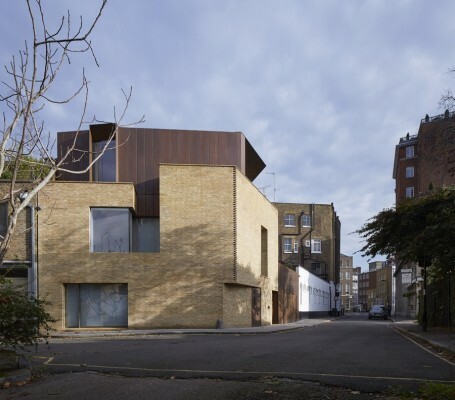 Levring House by Jamie Fobert Architects, a sophisticated contemporary house on a tight corner site in a central London mews, and Maghera by McGonigle McGrath, an exemplary family house in County Down, are the latest homes to be shortlisted for the 2015 RIBA House of the Year award (announced last night), sponsored by specialist insurer, Hiscox. 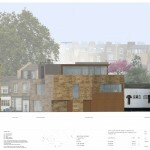 The annual award is run by the Royal Institute of British Architects (RIBA). 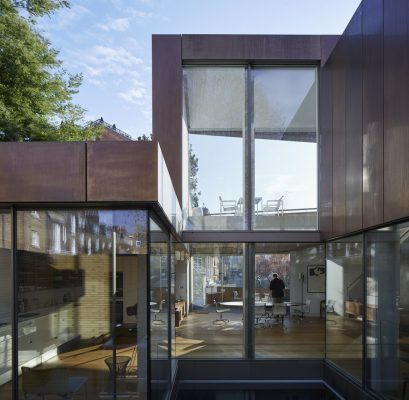 The projects in the running for the UK’s most prestigious award for a new house are being revealed in a special four part TV series for Channel 4, Grand Designs: House of the Year. 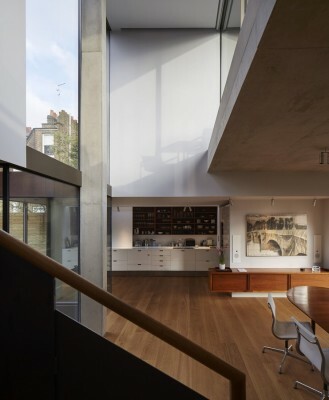 During the course of the series which began on Wednesday 4 November 2015, the seven homes shortlisted for the 2015 RIBA House of the Year award will be announced; the winner will be revealed on screen on Wednesday 25 November. 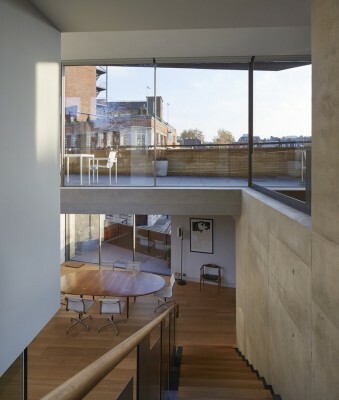 Levring House by Jamie Fobert Architects, a sophisticated contemporary house on a tight corner site in a central London mews, is the latest home to be shortlisted for the 2015 RIBA House of the Year award (announced 18 Nov at 10pm). 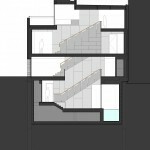 The annual award is run by the Royal Institute of British Architects (RIBA). A combination of alignments, setbacks and a sunken basement belie the true volume of this house, which includes a garage, extensive plant rooms housing the machinery for deep bore ground source heat pumps and a 14-m long marble-lined lap pool in the basement. Externally the building is finished with an elegant palette of Danish hand-made bricks, bronze panels and plenty of glazing to draw natural light into the heart of the house. 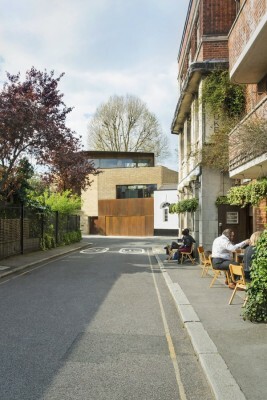 The spacious and luxurious house fills a corner plot of a typical London mews in Bloomsbury with a heady mix of free-flowing space, light filled voids, fastidious detailing and a brilliant regard for the surrounding context. Externally the building is finished with an elegant palette of Danish hand-made bricks, bronze panels and plenty of glazing to draw natural light into the heart of the house. Great care has been taken to respect the massing of adjacent buildings and sensitively turn the corner from Roger Street into Doughty Mews. A combination of alignments, setbacks and a sunken basement belie the true volume of the house, which includes a garage, extensive plant rooms housing the machinery for deep-bore ground source heat pumps and a delightful 14-m long marble lined lap pool in the basement. 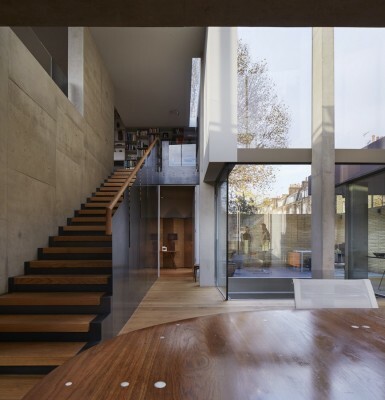 The house is arranged as a series of volumes, which step around a central light-well, which climbs from the basement and is surrounded by full-height sliding glazing. 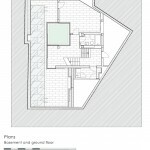 The ground floor includes the entrance, an office, guest accommodation and the garage. The first floor combines a glorious double-height kitchen and dining space, which open onto a hidden terrace to the north, with a more intimate master bedroom overlooking the mews. On the top floor the building steps back out of view from the street with a more formal sitting room opening onto a south facing terrace. Internally the architecture is imbued with high quality materials and elegant detailing, which absorb light, are sensuous to the touch and beguiling to the eye. The concrete frame of the house is exposed in ceilings and columns and offset with timber floors, crafted joinery and plastered walls. This is architecture of sophistication and delight, crafted out of a tight and complex urban site with skill and panache. Complex volumes are rendered simple with a consistency of design approach to provide contemporary living space of the very highest calibre.